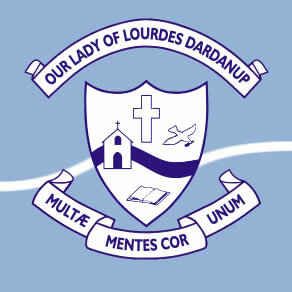 The School Board of Our Lady of Lourdes School, Dardanup has the responsibility for the financial management of the school and is thus consequently responsible for the collection of school fees. Every effort is made to keep school fees as affordable as possible. The collection of school fees shall be approached in the spirit of charity and justice. We recognise and support the Catholic Church’s preferential option for the poor and disadvantaged and thus in special circumstances fee arrangements can be made in conjunction with and through the Principal (Amenities fees and Building Levy are not subject to negotiation). The inability to pay fees shall never be the reason for the non-acceptance of a child in a Catholic School. Such applications will be treated with dignity, compassion and confidentiality. The School Board models justice in its expectations of parents supporting the financial needs of the school community. Accordingly, it is only just if parents who are able to pay fees do so. Thus the School Board will actively pursue fees from families who have the capacity to pay. 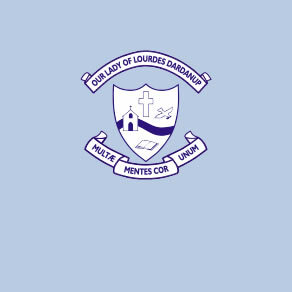 Upon enrolment at Our Lady of Lourdes, parents will be informed of the fee structure of the school. Parents will also be informed of changes to the fee structure at the Annual General Meeting held in November each year. Invoices for school fees will be sent to each family via the eldest child in the family. Term 1 (by week 2-3) This account will be a annual statement which will include annual tuition fees, amenities, building levy and cooking fees for Yr 1 and Pre Primary. A 5% discount applies to the annual total if payment is made in first term. Fees may be paid on an annual or term-by-term basis. This account will include any outstanding amounts. Reminders will be sent to families 14 days after the due date. Terms 2,3 and 4 (by week 2-3) Accounts for each term’s fees will be sent out which will include any arrears. The Payment procedure is the same as for term 1. Families who enter or exit the school during the academic year will be charged on a pro rata basis. All school fees are expected to be paid by the due date. Families with short-term financial problems are expected to contact the Principal in order that payment arrangements may be made. Families who currently hold a Health Care Card/Pension Card are entitled to a fee discount. Where a family has ignored repeated reminders and attempts at fee negotiation and payment the School Board may call in the services of a debt collection agency or solicitor. If these steps are unsuccessful then, after discussion with the director of Catholic Education, further legal action may be taken. The School collects personal information, including sensitive information about pupils and parents or guardians before and during the course of a pupil's enrolment at the School. This may be in writing or in the course of conversations. The primary purpose of collecting this information is to enable the School to provide schooling to the student and to enable them to take part in all the activities of the School. Some of the information we collect is to satisfy the School’s legal obligations, particularly to enable the School to discharge its duty of care.